England Korfball are excited to announce the venue and date for the climax to the 2018-19 league season. We are delighted to announce that the Grand Finals will be returning to the iconic Copper Box Arena in London’s Queen Elizabeth Olympic Park. The England Korfball Premier Division and Promotional League playoffs will take place on Saturday 1st and Sunday 2nd June 2019. Tickets will go on sale later this month. Click here to register for the presale and be the first to hear about the early-bird sale and the latest news about the biggest event on the England Korfball calendar. The best players from the top four sides in the Premier Division will compete to find our new national champions. We will also have the top four teams from the Promotion Divisions who will be vying for promotion into next season’s Premier division. The semi-final matches of both the Premier and Promotional divisions will take place on Saturday (1st June) with the promotional final and premier league grand final taking place on Sunday 2nd June 2019. And that’s not all! We have ambitious plans for this year’s event – it’s going to be bigger and it’s going to be better than anything we’ve done before. Over the coming weeks we will release details about other finals and events that will take place over the weekend – as well as some very exciting news!! England Korfball’s David Synott said: “The England Korfball Finals at the Copper Box Arena provides a fantastic opportunity to showcase our brilliant mixed-gender sport and to celebrate the culmination of our season. 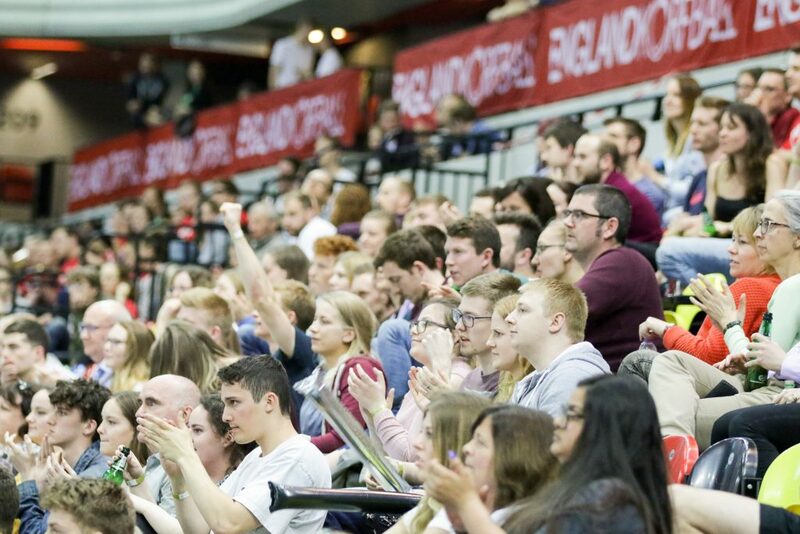 “The time is right for Korfball to emerge – hosting our national league finals in a world-class arena such as the Copper Box Arena provides us with a platform to reach thousands, if not millions, of new spectators, new players and sponsors. Details about the schedule, ticket prices, early-bird offers and other competitions will be released in the coming weeks. In the meantime you should put the dates in your diary and start to get very excited! You can help make this year’s event the biggest and best Grand Finals ever by spreading the news with your family, friends and colleagues. On social join the conversation using #KorfballFinals. We look forward to seeing you at the Copper Box Arena!